During HDR preparation the exclusive and fully automatic alignment tool is perfect for the alignment of your source images. Exposure bracketing shot by hand and moving leaves in the wind are handled by HDR projects 2 with precision like you’ve never seen before. The escalator on the right was moving – the automatic ghosting correction produces sharp results even with complex exposure bracketing. Reflective, metallic surfaces have a tendency towards extreme color noise. Even an image bracketing with ISO 1,600 looks perfectly fine! HDR projects 2 eliminates the typical peculiarities of HDR processing: Halos, ghost images, tonal value shifts, chromatic aberrations, color noise, etc. If you know HDR, you know of these issues, but with HDR projects 2, even the finest structures remain visible and edges without halos stay razor sharp. 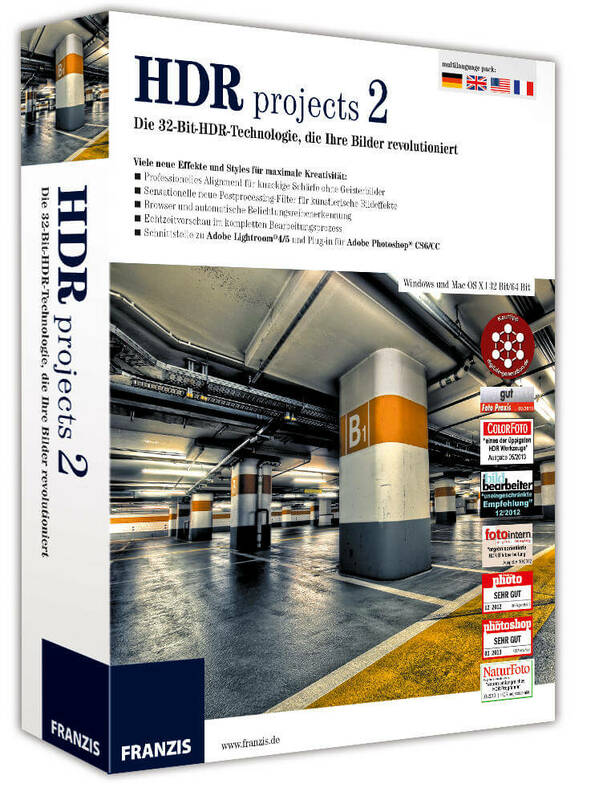 HDR projects 2 – 100% made in Germany, offers photography enthusiasts the tools to create masterful images. Here you are the director of your image files. You can present your world the way you want to present it. 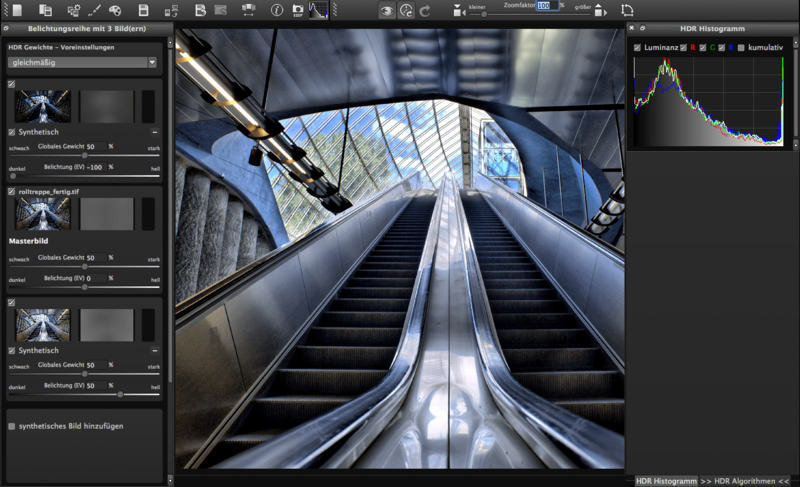 HDR projects 2 is not merely a way to correct your images or a classic photo editing software. 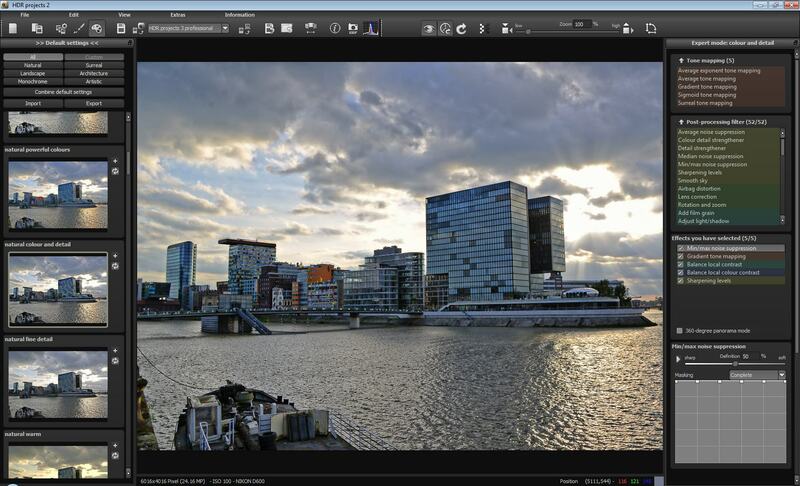 HDR projects 2 is a brand new software that lets you decide how your pictures are supposed to look like. HDR projects 2 and digital black and white photography work great together. The typical mouse-grey digital images without light, contrast and depth are the biggest weaknesses in current digital photography. Experience the difference with sensational monochrome filters that give a perfect finishing touch to black and white images. HDR projects 2 creates real 32-bit images containing all the luminance information of the real world and not just a part of it, as is usual due to the limitations of a digital camera. Using innovative algorithms, intelligent presets and high-end filters you can create images, that take your passion for photography to a whole new level. Depending on your enthusiasm and on the occasion you can create worlds of imagery between reality and artistic emotion. Update policy: Minor updates ( 3.1 or or 3.2 or 3.3 and more) are every time FREE of charge for existing costumers. Tech support policy: Free online webinars, continuously new posts and video quick-tips at www.projects-software.com, tech- support via Email and Helpdesk. Re-install policy: It can be re-installed with valid license-code. How to get a free license code? Thanks to Vincent from FRANZIS who provided me 2-computer lifetime license, for home and private use which originally charges USD 137.00 RRP per copy. The giveaway campaign runs for ONLY 1 week from October 24th, 2015 – October 31th, 2015 and all you have to do is to follow the giving below rules to participate in this giveaway. HDR projects #3 generates real 32 bit images containing all of the brightness information of the real world and not just a part of it, like systematic digital cameras. Aided by innovative algorithms, intelligent presets and high-end filters, you can create images that are beyond inspiring. 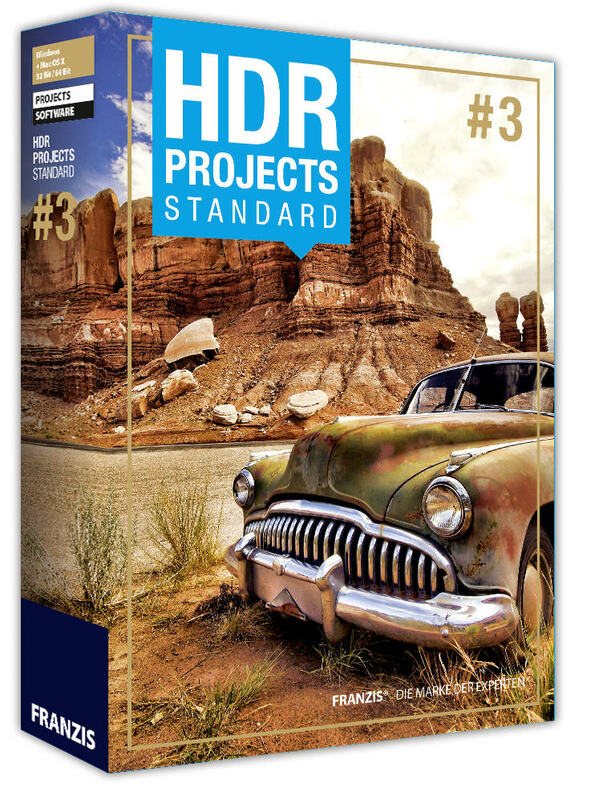 HDR projects #3 – 100 % made in Germany which cost EUR 149.00 RRP – offers photo enthusiasts the tools to create masterful images. License info: 2-computer lifetime license, for home and private use. Congrats Mieszko and Kamil, you guys will get the license code within 3 days. If not then please contact me or drop an email. Freebie: Get WonderFox DVD Video Converter and Video Watermark as Halloween Gifts! Thanks for stopping by and joined the giveaway.